The Persia design was added to the sheeting collection in 2005 and has become one of the most highly recognizable of all ANICHINI designs. Why is it so beautiful? 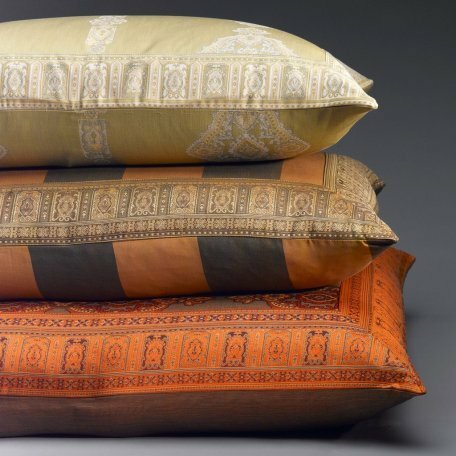 The bedding is made up of 4 different fabric designs. A medallion, a wide awning stripe and 2 borders. This makes the construction complicated but very interesting. I know of no other bedding collection constructed like this. In addition, all the fabrics are reversible. The reverse side is just as beautiful and interesting as the “right” side – and because we produce the bedding right here in our workroom we can customize the constructions. For example, we can leave off the flange entirely, or insert it into the body of the pillow cover. Allow me to go further. Persia is woven in Italy by one the very few remaining super high quality boutique weavers. This small factory, near Lake Como, embodies everything legendary regarding Italian textiles. The product is a woven jacquard. The threads are of the finest, smoothest quality and 100% colorfast. But the coup de grace is the fact that the weave itself is a twill weave. This twill translates into durability and longevity you cannot find elsewhere. 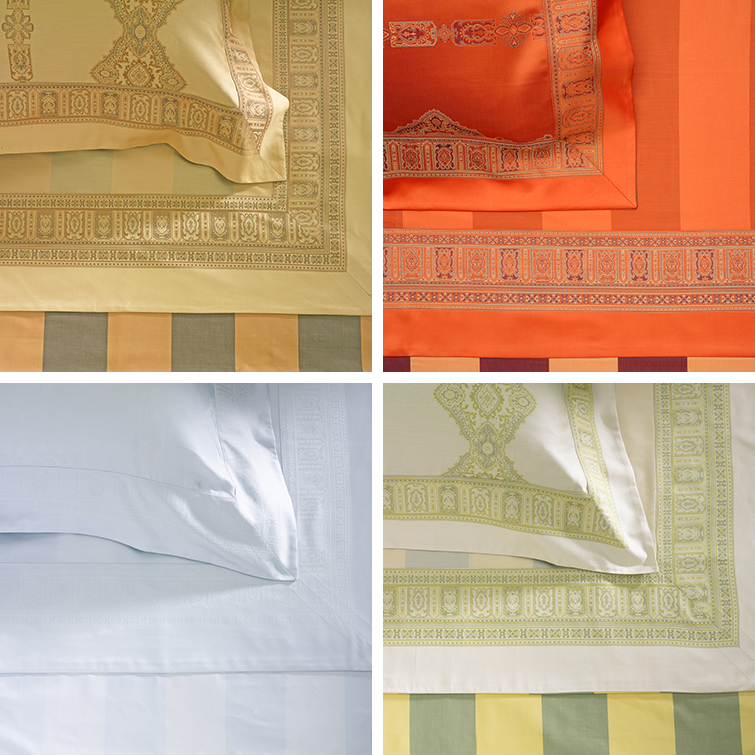 The bedding also requires little or no ironing due to the twill construction and the silkiness of yarns. Persia is in a class by itself in the sheeting world. If you are interested in the best of the best…..this is it.